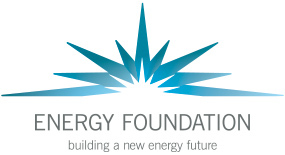 New York’s “Reforming the Energy Vision” (REV) proceeding aims to take advantage of advances in distributed energy resource (DER) technology to make the State’s electricity system more efficient, resilient, and sustainable. The change that New York seeks to achieve is nothing short of transformative and will take many years to fully realize. To ensure that utilities make appropriate progress toward the desired end-state in the near-term, the New York State Public Service Commission has urged utilities to develop demonstration projects that can “beta-test” various DER services prior to wide-scale deployment. In December 2014, the Commission articulated a set of “principles” to inform the design of REV demonstration projects. In February 2015, the Commission ordered utilities to propose projects that conform to these principles by July 1, 2015. These proposals are expected to set a new gold standard in technological and financial innovation by leveraging private capital to deploy a diversity of DER solutions that advance REV objectives. Although the July 1 submissions will be the first official REV demonstration projects, the Commission has described pilot projects currently underway that it expects to inform REV. These existing pilots bear great promise to illustrate the potential for DER products and services to capably address system needs throughout New York State. This report assesses the extent to which the existing pilot projects address the principles that the Commission has outlined for impending REV demonstration project proposals. Because the existing pilots are arguably the best indication of near-term progress toward achieving REV objectives, it is critical that the Commission and other stakeholders understand which principles these projects collectively address and where there remain gaps that REV demonstration projects need to target.